Illustrated four line verse by the Japanese poet, Dogen. Birthday gift from a husband to his wife. Copperplate style in chinese ink on Fabriano paper. Blossom painted in watercolour. "A New Child" by George Mackay Brown - commissioned by a father for his children. 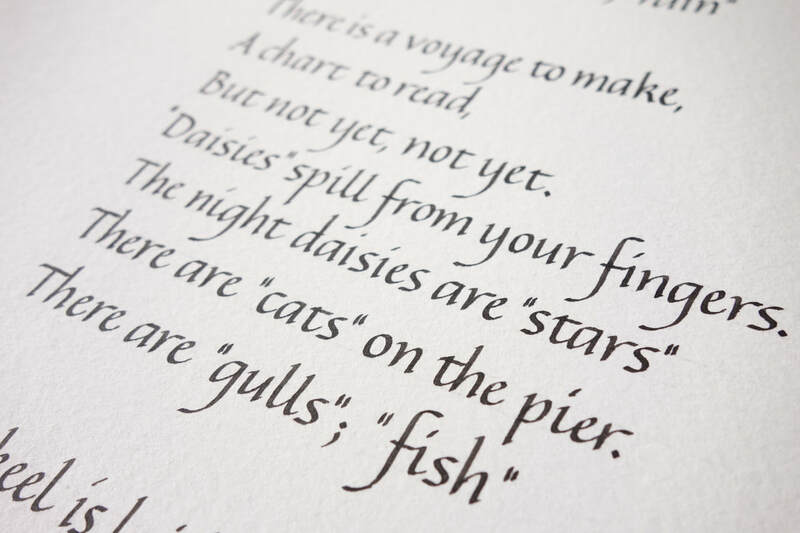 Italic script, Chinese ink on Fabriano paper. I've become increasingly drawn to decorative patterns, mainly from historical manuscripts but from more contemporary sources too. This is a gilded piece on vellum I'm working on, my interpretation of an illuminated border fragment by Attavante from a missal of Pope Leo X (Florence, 1513-1521). Gouache on Fabriano Artistico paper. 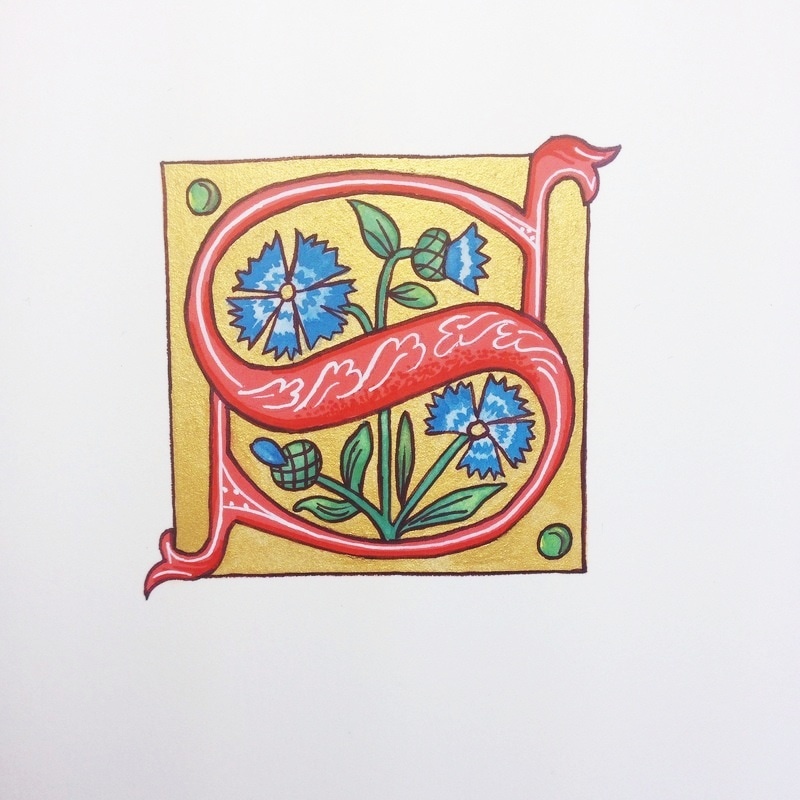 ​A hand-painted decorated initial is something lasting, something to be treasured, a thoughtful and individual gift. ​letter styles and decorative elements to create your personal illuminated letter. Favourite colours or themes can be incorporated to produce a beautiful and unique design. ​Gilding and vellum are optional. Please enquire via my Contact page. Any value you'd like, redeemable against any of my classes. Buy Now! Julie is a calligrapher, lettering artist and illuminator living in the East Anglian countryside. Her starting point for calligraphy was a weekly adult education class at the City Lit in London. 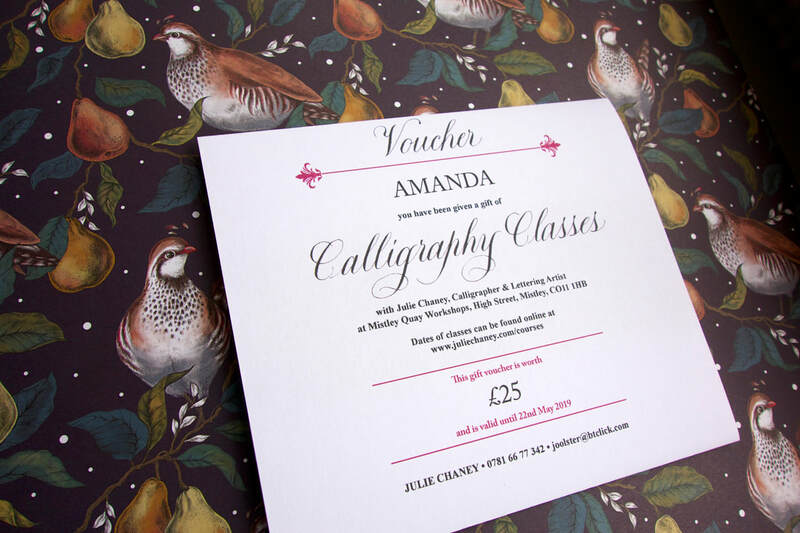 Following her move out of the city in 2005, Julie continued with her studies and trained under many prominent calligraphers, eventually progressing to a professional level. She accepts commissions and teaches regularly. Julie is currently Chairman of the Society of Scribes & Illuminators. She is a graduate of the Society's Advanced Training Scheme and is keeper of the their Library and Archives. 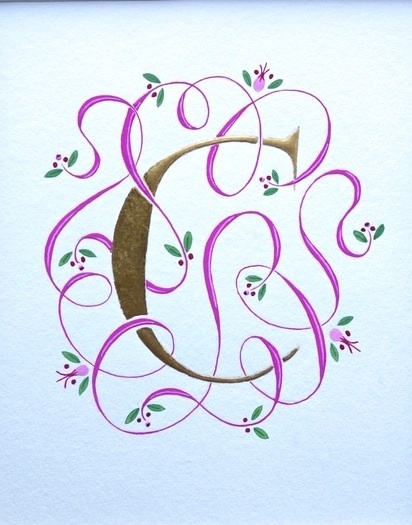 She is also a member of the Calligraphy & Lettering Arts Society and the Letter Exchange.